What entices people to engage with your business, or use your service? Various factors shape the decision making processes of a prospective customer. Expertise in maintenance—so the customer never misses their chance to impress—is important. For strata buildings, maintenance can often be overlooked by their owners. Sometimes it is pushed low on their scale of priorities due to its inconspicuousness. Because the results of regular maintenance are consistently well-presented assets, it is not unusual for maintenance per se to go unnoticed. Leave a building to slowly deteriorate however, and soon enough lack of maintenance becomes starkly noticeable. Astute strata managers are able to explain and implement the correct maintenance strategies, because they understand firstly its ability to extend the lifespan of an asset and influence the value of the property, and secondly, the costly effects of repair and replacement when buildings fail in the absence of maintenance. The 4P’s to Programmed Maintenance provides looks at maintenance in terms of four key areas. Site presentation unequivocally equals impression. A well-presented site has modern or vibrant colours where paint isn’t faded or peeling. Rust hasn’t eaten through steel and metal work, and the overall feeling is one which invites people to live or work there. Maintenance enables the site to build value – real and perceived – due to an element of aesthetic appeal that imbues pride and drives tenancy rates upwards. A full repaint can transform an otherwise dull building into a defining local landmark and a consequent increase in property value, sometimes by over 10%. Reinstated colours as well as colour changes are options that can be considered for their individual ability to invigorate and modernise a site. To ensure the continued presentation of the property and its assets, incorporate key maintenance initiatives such as cyclical washing, preventative painting programmes, grounds maintenance and updated signage. Protection maximises the returns on investment be this in terms of property value, the maintenance dollar or an asset’s lifespan. It safeguards the built and physical assets and ensures their optimal performance. Maintenance developed around individual asset types and conditions utilising lifecycle planning in conjunction with current and predicted asset conditions allows for informed decision making and targeted implementation. These pre-empt breakdowns, help avoid the need for constant repairs and stave off expensive replacement costs. Programming such maintenance can take into account various elements such as the condition of the buildings as a whole or by location (balconies and car parks, for example) and their various substrate (steelwork, wooden balustrades, etc.). Integral to protection is risk mitigation. This encompasses everything from ensuring the safety of tenants and residents to making certain regulatory building compliance. Where such knowledge is not immediately found among your personnel, the advice of professional facility maintenance experts can be useful. This expertise can help identify risks to the structural of assets caused by corrosion and rust, for example. With high rise buildings and those with hard to access areas, working with a company proficient in safety, risk management and compliance is imperative. This protects not just the building’s occupiers, but also the strata manager’s reputation. The first port of call before doing anything aesthetic is preparation. This means doing the ‘homework’ to properly understand the needs of the site and includes fixing cracks, removing mould, attending to water ingress or efflorescence or even rectifying any existent issues or previously poor workmanship. A building report conducted as part of this initial step prior to any actual aesthetic works being implemented will identify all remedial work that needs attending to first for a durable and quality outcome. Another aspect of preparatory work is the site risk assessment. This process enables potential hazards and risks to be highlighted and prevented with the correct preventative measures. Additionally, jobs can be properly quoted and work is correctly scheduled to minimise job variations and costly blowouts. On-time delivery is more likely too as time, resource and materials have been correctly accounted for. Insights into ground movement, climate and propensity for graffiti as part of the preparation aspect of maintenance can lead to the specification of better targeted solutions, cost-efficient implementation, products and materials, culminating in an overall result that is of higher quality and value. The right partnerships enable strata managers to maximise time and resource productivity. Strategically outsourcing key aspects of strata management that are not considered strata managers’ core expertise allows managers to better focus on the customer and other core business priorities like growth and profitability. The right supplier partnership with specialists in property maintenance will enable the strata manager to deliver a well-presented building to the end customer – residents, strata owners and building occupiers – yet frees the strata manager from the cumbersome details of implementation or project management. Furthermore, since the quality of the outcome is directly linked to the property maintenance company’s business and reputation, the strata manager is assured of the maintenance partner’s commitment to delivering on-going results. Especially if they want the strata manager to keep on engaging them. In categorising maintenance according to four key elements, the 4P Programmed Maintenance framework helps to demonstrate its value while making it easy to implement, and in doing so may help strata managers traverse conversations around how they can get maintenance right. Proper maintenance expertise can help enhance a strata management company’s service offering to its customers. 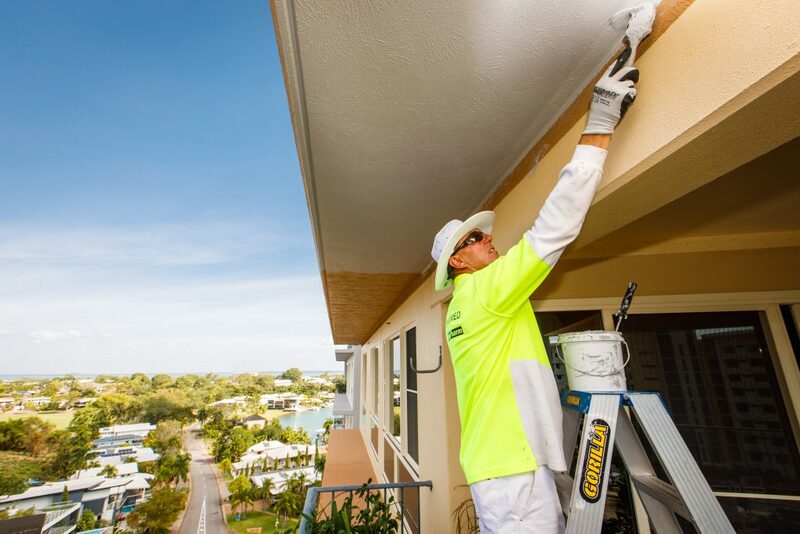 Work with Programmed, a partner with over 60 years’ property and facility management with key strata industry experience, to deliver smarter maintenance solutions.